The makers of Farxiga, Bristol-Myers Squibb and AstraZeneca, are facing at least 18 product liability lawsuits filed in federal courts. These have now been centralized into a multidistrict litigation (MDL) pursuant to an order issued by the U.S. Judicial Panel on Multidistrict Litigation (JPML) issued on April 6, 2017. The MDL will be proceeding before U.S. District Judge Lorna G. Schofield of the Southern District of New York. Farxiga (dapagliflozin) is in a class of medicines known as sodium glucose cotransporter-2 (SGLT-2) inhibitors. These are a newer type of oral diabetes medications. Other drugs in the same medication class include Invokana, Xigduo XR, and Invokamet. SGLT-2 inhibitors work by inducing the kidneys to remove blood sugar from the body by filtering it out through urination. In this manner, these medicines may help patients with type 2 diabetes manage their blood glucose and reduce their risk of diabetes-related complications. When Farxiga was first approved by the FDA, its manufacturers launched an aggressive marketing campaign. However, the plaintiffs who have filed lawsuits against these manufacturers claim that they failed to warn patients of the potential risks of Farxiga. Most notably, these potential complications could include kidney failure, heart attack, and diabetic ketoacidosis. That same safety communication noted that Farxiga may be prescribed as a single-ingredient medication or it might be combined with another commonly used diabetes drug, metformin. The FDA warned that combining Farxiga with another diabetes medication might increase the likelihood of low blood sugar. The JPML decided to approve the request made by the plaintiffs to form the MDL for the purpose of streamlining the litigation process and reducing the risk of contradictory rulings across districts. By coordinating pretrial discovery, a multidistrict litigation saves time and expense for all involved parties, and it ensures uniformity. Although only about 18 Farxiga lawsuits are currently pending in the MDL in New York, most experts keeping an eye on the cases are confident that additional plaintiffs will step forward in the coming months and years. Another benefit of the MDL is that, although pretrial discovery has been centralized, each plaintiff retains the right to an individual trial by jury. Once pretrial discovery is completed, the judge will hear a series of bellwether trials. These allow the parties to assess how juries are likely to respond to testimony and evidence. If juries hand down substantial awards in favor of the plaintiffs, it’s possible that the defendants will decide to be more generous when engaging in settlement talks. Any cases that are not resolved in a bellwether trial or in a settlement agreement will be remanded back to their home districts for trial at a later date. 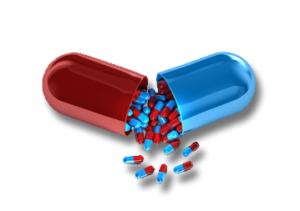 Have You Been Injured by an SGLT2 Inhibitor?